23491 Autumn Sky Ct, Ashburn, VA 20148 SOLD for $700,000. Find out how much your property might sell for with our Instant Home Value Estimator. The sellers of the home at 23491 Autumn Sky Ct truly had an eye for modern design! To help them achieve the look they wanted, they hired a local interior designer to help pick the rich dark blue hues that complimented the gray color highlights throughout their elegant home. Having a premier lot with fabulous views that overlooked a serene pond, they wanted to make the most of the outdoors by creating an upscale living space. A massive stone fireplace was often the highlight on many evenings that they shared with friends and family. 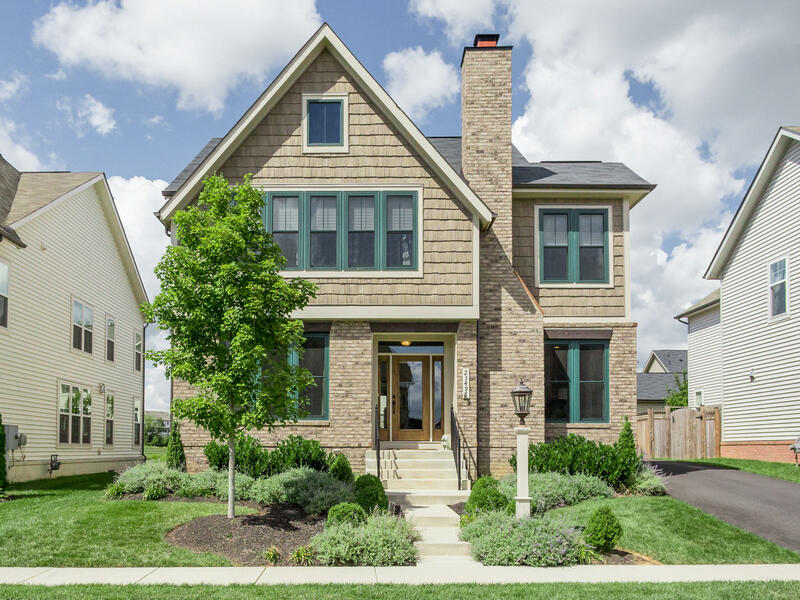 After completing the project and spending time enjoying the fruit of their labor - they came upon another community further into Loudoun County that caught their eye and so they decided to sell 23491 Autumn Sky Ct . The first open house yielded over 20+ sets of visitors! Our marketing caught the eye of a journalist at the Loudoun Times Mirror who featured the home on the cover of their real estate section. 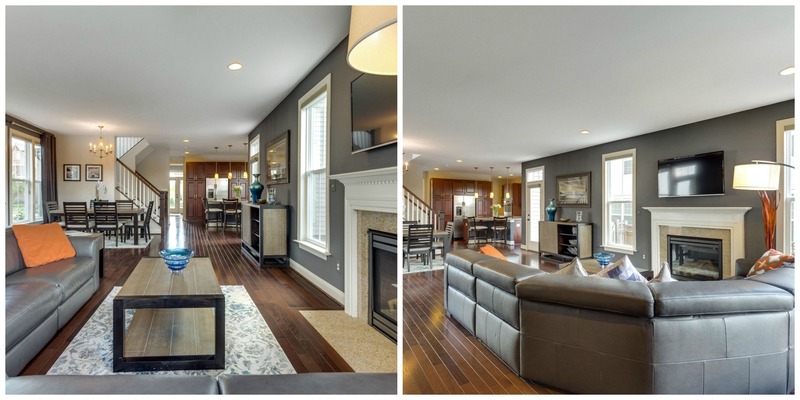 This wildly popular model from Miller and Smith in amenity rich Brambleton attracted a lot of potential buyers. The buyers of the home were flexible with the move date as were the sellers, so rather than a typical 30 day closing, both parties agreed to a 7 week contract period. This allowed the sellers to close the sale on their new home and have it painted before moving in and it allowed the buyers to end their lease closer to their termination period. Both families were able to take their time with their moves and are now happily settled into their new homes! Thinking about selling? It's never too early to start planning! 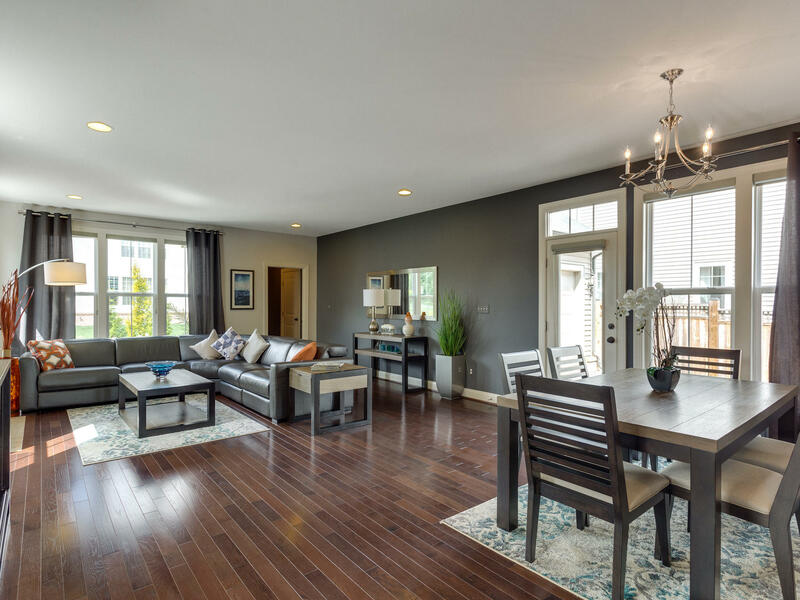 Looking for a home for sale in Brambleton? Take a look at these new listings. Fall has arrived in Brambleton and 23491 Autumn Sky Ct sets the stage for entertaining inside and out. Professionally decorated throughout, the gorgeous details of this home show like a model. 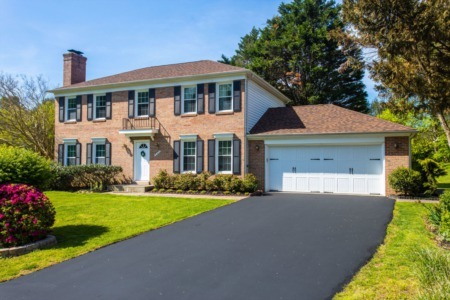 Featuring 4 spacious bedrooms, 3 full and 1 half baths, 3 immaculate finished levels, over 3,900 square feet of finished space including the walk-up basement. Highlights of this gorgeous home include spectacular outdoor entertaining area, open floorplan and Hunter Douglas blinds on all windows and doors. The main level features rich hardwoods throughout, a welcoming great room with a cozy gas fireplace to warm the soul during crisp weather days. The separate formal living room greets guests in the front of the home. The home office is conveniently located on the main level. An amazing gourmet eat-in kitchen and breakfast area with professional decorative touches opens to the gathering area. 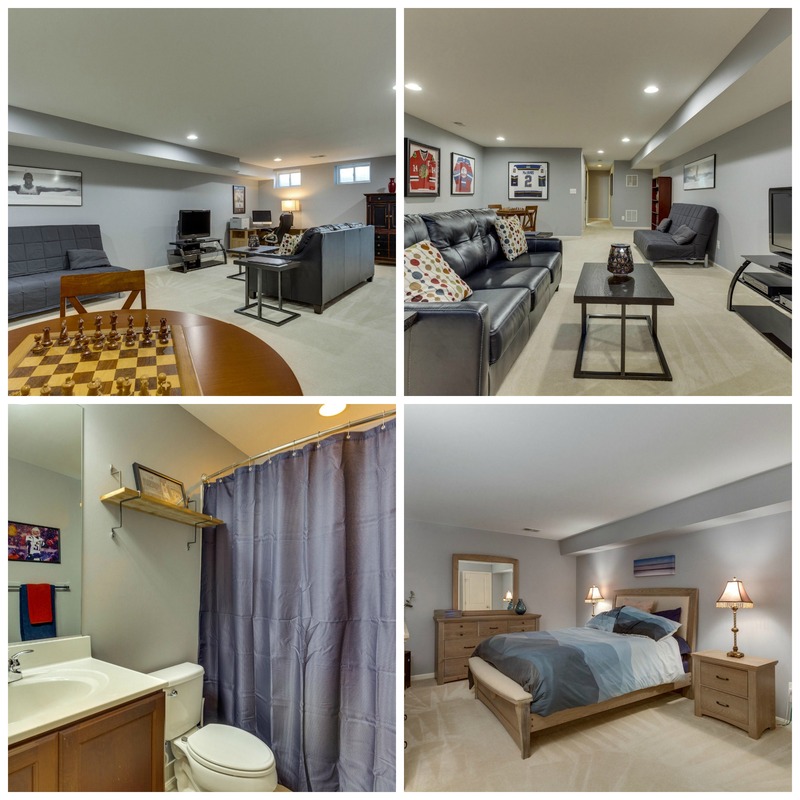 Enjoy the convenient mud room off the 2 car garage with ample parking in the driveway. 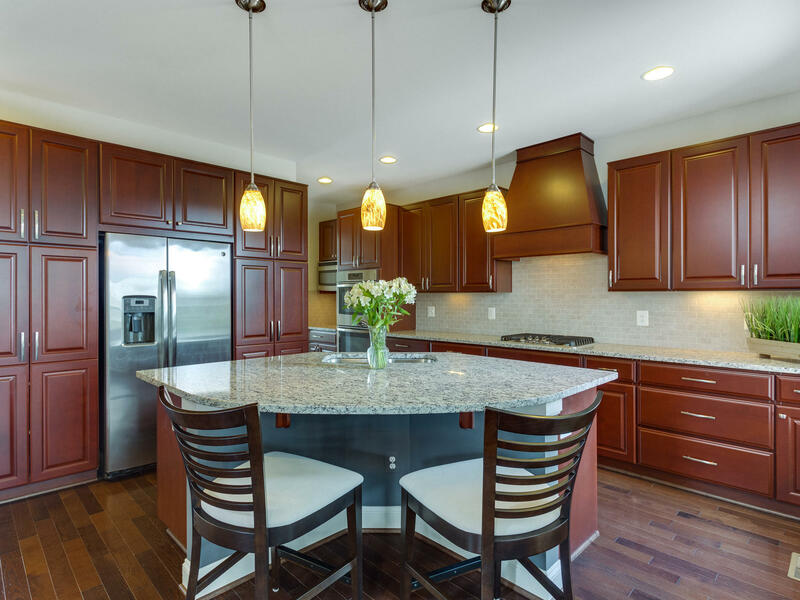 This home’s main course is the gourmet eat-in kitchen featuring beautiful 42” cabinets, beautiful granite countertops, pretty tile backsplash, a generous sized center island with seating for two, and sparkling stainless appliances. The breakfast room is perfect for your morning juice next to the natural light pouring in through the windows. The upper level hosts 4 spacious bedrooms including the elegant and luxurious master bedroom suite. 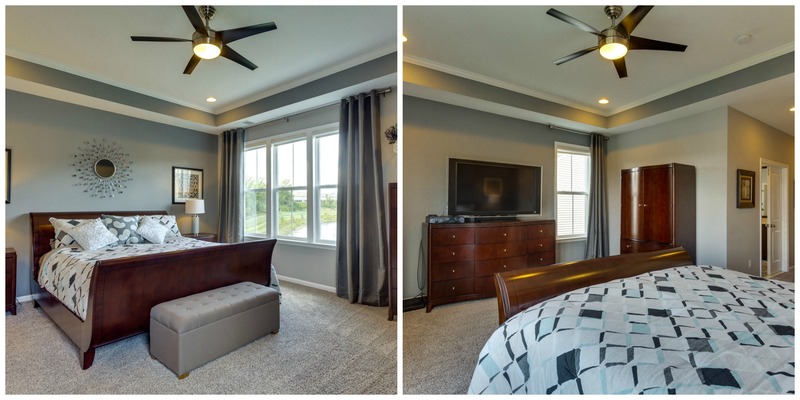 Features in the master bedroom include tray ceiling, walk-in closets and a Roman spa-like master bath. 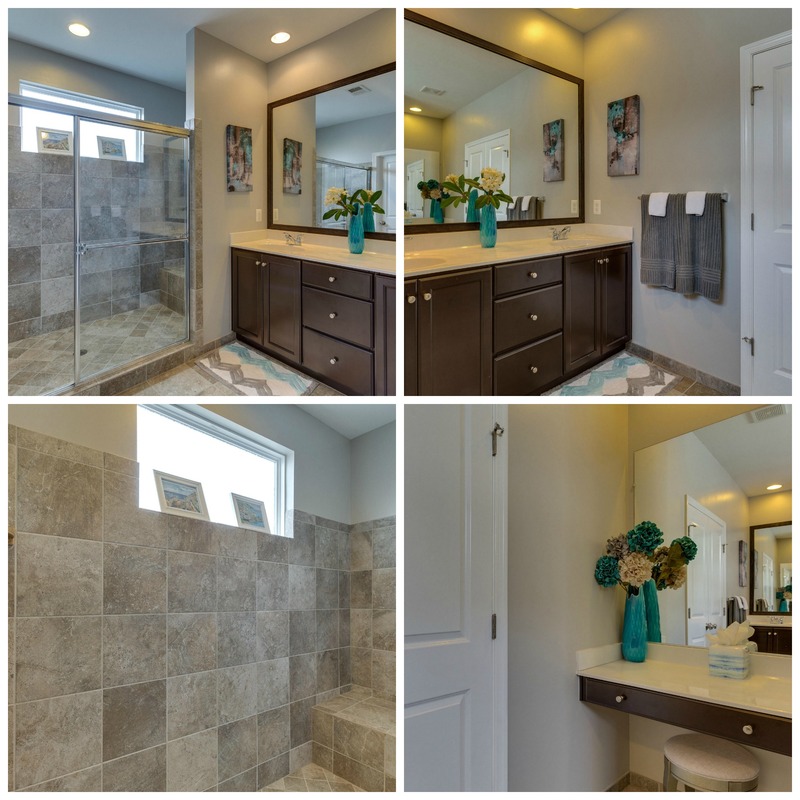 Enjoy dual sink vanity, massive walk-in shower and separate makeup vanity area. The additional 3 nice sized bedrooms have lots of light and share the additional full bathroom. The front bedroom with the multiple windows aligned gives one the feeling of being on a destination getaway. The lower level has room for living and lounging! Whether you are up for games, a movie, or working out - there is a little something for everyone! The large rec room has recessed lighting, neutral finishes and walkup access to the back patio. Perfect for guests there is a finished room and full bathroom to give them room to unwind. Additional bonus room with a legal full sized window is perfect as a fitness, craft or storage room. Or finish it out to make a legal 5th bedroom! Weekends are made for relaxing and you don’t have to leave home to do it. Sit down in front of the beautiful and massive stone wood burning fireplace on the professionally designed flagstone patio. With views of the soothing and serene pond out back, you will feel like you are on vacation. Extensive professional landscaping with colorful plantings thoughtfully finishes off this amazing outdoor space. 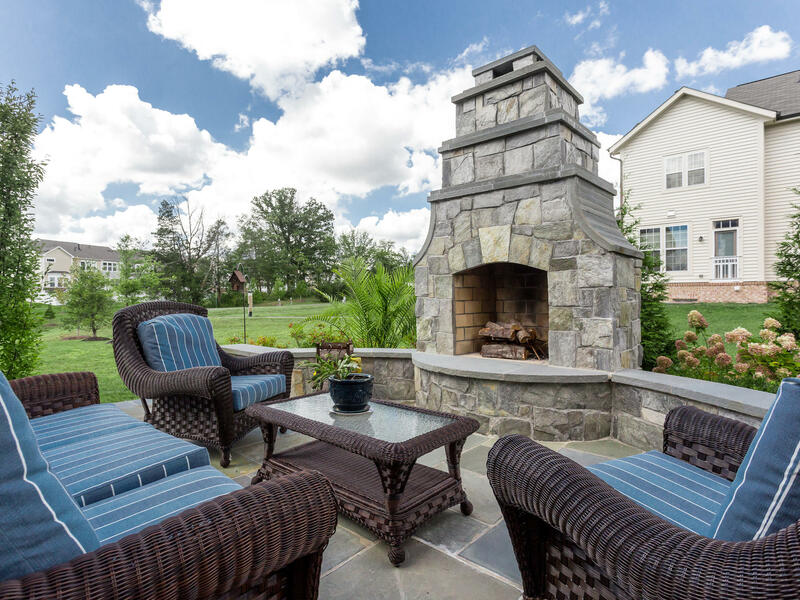 Peaceful with a true neighborhood feel and close to all the incredible amenities that Brambleton offers including pools, tennis, shopping, dining, beautiful walking paths and more. Convenient to the Dulles Greenway and Dulles Airport. Contact The Spear Realty Group today for a tour at 703-618-6892!